Chuck as over 20 years of experience in residential and retail construction. Since becoming a LEED AP in 2009, has worked on projects, in both the United States and Europe, successfully guiding clients through the LEED certification process. Marc has over 10 years experience in the green building industry on both design and construction teams. As a licensed architect, Marc has worked on LEED projects all over the world including the United States, South Korea, and Europe. Follow our Case Study Project! 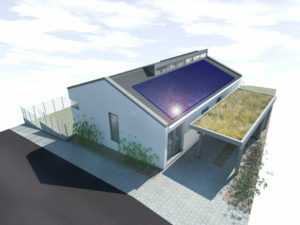 Follow the progress of our case study LEED for Homes project in Germany on our blog!